Got your eye on one of the new movies to hit Google Play in recent weeks? Maybe The Hateful Eight or Creed or The Last Witch Hunter? If you are nodding your head to that last one, please leave, because we are all shaking our heads at you. But if you are interested in those first two, both of which are great flicks, hit up the link below! 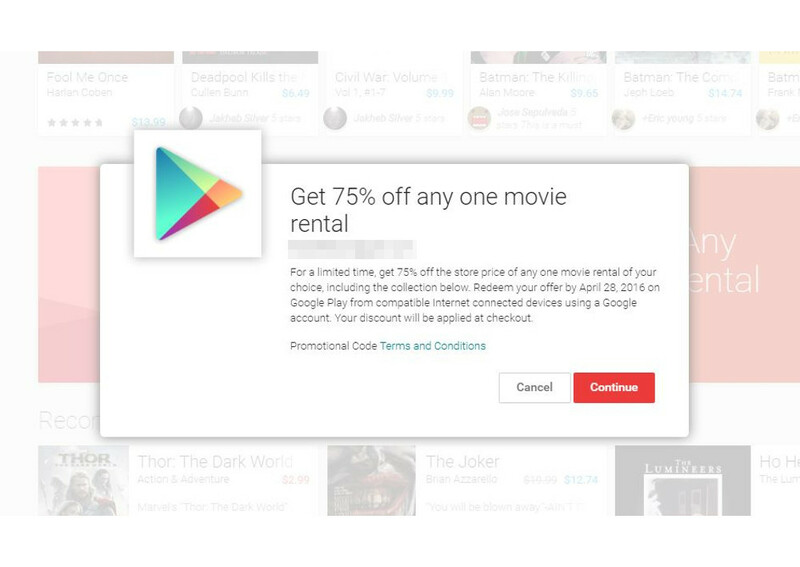 Google is doing another 75% off movie rentals deal! UPDATE: Hmmmm, this could be for an old code that many of you have already redeemed and I had not seen yet on one of my accounts. If you are showing it as being old or redeemed, my apologies. Move along, as I’ll be over here hanging out with The Last Witch Hunter.